FUN. 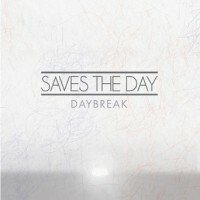 PLAYS LIVE ACOUSTIC CONCERT ON CONSEQUENCE OF SOUND TODAY! FOR SONIC! LIVE THIS FRIDAY NOVEMBER 18 AT 2PM EST! In case you missed fun.’s sold-out performances at The Troubadour in Los Angeles or New York’s Bowery Ballroom, Chevy’s Sonic! Live offers fans a chance to experience the latest behind the indie-popsters forthcoming “Some Nights” available on February 21st. Fun. will perform live from NYC (and all over the internet) as headliners in the second webcast in the series, following last month’s Black Lips showcase featured on Spin.com. Fun.’s buzzing new single “We Are Young” feat. Janelle Monáe—a product of producer Jeff Bhasker, who has contributed to Jay-Z (“Watch the Throne”) Kanye West (“Runaway”), Drake, Alicia Keys and Beyonce tracks, is a recent hit on Hype Machine (slamming the #3 spot within the first week) and now a viral sensation as a special acoustic video rendition, with an official video on the way soon. Chris Isaak is scheduled to cover tracks that were made famous by artists such as Elvis, Johnny Cash and Roy Orbison on his new album ‘Beyond The Sun,' which is set for release on January 23, 2012. 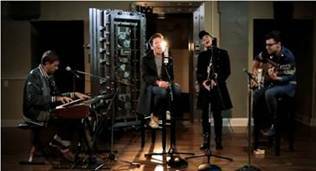 The album was recorded at the iconic Sun Studio in Memphis and sees Isaak taking on a number of classic songs recorded there in the 1950s by the founding fathers of rock and roll. The album includes Isaak’s reditions of Elvis’s ‘Trying to Get to You’, ‘I Forgot to Remember to Forget’, ‘Can’t Help Falling in Love’, ‘How’s the World Treating You’, ‘It’s Now or Never’, ‘She’s Not You’ and ‘My Happiness’ as well as Johnny Cash’s ‘Ring of Fire’ and ‘I Walk the Line’, Jerry Lee Lewis’ ‘Great Balls of Fire’ and Roy Orbison’s ‘So Long I'm Gone’. The album also includes new song ‘Live It Out’. Says Isaak of the album: “I always loved that music and I wrote songs in that spirit. You can go through all my songs and you won’t find one reference to goin’ to the bop. They’re about my life, not about nostalgia for the ’50s." Finnish old-school death metal outfit DECAYING have recently announced they will release their second album 'Encirclement,' on January 2nd via Hellthrasher Productions. The record was recorded in part at Studio Soundlouhos in Vantaa, Finland between October and November and will feature 10 tracks spanning over 60 minutes. 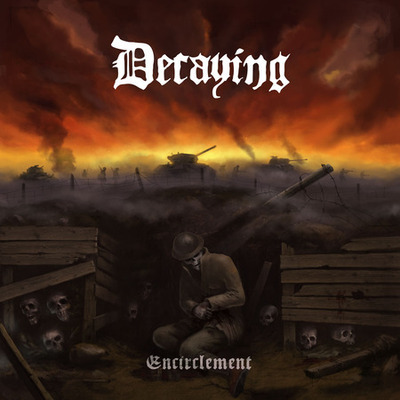 The cover artwork for Encirclement was created by Polish artist Bartlomiej Kurzok. 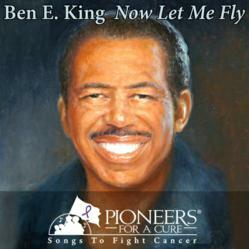 Pioneers For A Cure - Songs To Fight Cancer is pleased to announce the November 22 iTunes release of 'Now Let Me Fly' by legendary R&B singer Ben E. King. King has selected St. Jude's Children's Research Hospital in Memphis, Tennessee to receive proceeds from downloads of the song. The single is also included on the Pioneers For A Cure collection 'American Songs To Fight Cancer,' released in October 2011. The cover art for "Now Let Me Fly" is by the Israeli fine artist Mira Sasson, who has painted dozens of portraits of Pioneers For A Cure contributors. Possessing one of the most elegant baritone voices ever, Rock & Roll Hall of Fame alumnus Ben E. King’s imprint on the musical landscape is so indelible that an optimum barometer has been set for countless aspiring performers. From a youngster in Harlem to an embraceable solo artist, Ben E. King’s contributions to the pop music spectrum are incalculable. In a promotional video on the Pioneers For A Cure website, King encouraged others to "Stand by me to fight cancer!" - recalling his hit single "Stand by Me," written with Jerry Leiber and Mike Stoller and voted one of the Songs of the Century by the Recording Industry Association of America. 'Now Let Me Fly' is a song of the Underground Railroad which references the biblical story of Ezekiel's Wheels. The song talks mostly of a promised land which was in the north at the time, and would boost the morale and the spirit of slaves and give them hope. The song is given a stellar reggae arrangement in Ben E. King's version for Pioneers For A Cure. The track is produced by Greg Wall, who also leads the lush horn section's driving rhythm. St. Jude Children's Research Hospital, founded in 1962, is a leading pediatric treatment and research facility focused on children's catastrophic diseases. It is located in Memphis, Tennessee. It is a nonprofit medical corporation chartered as a 501(c)(3) tax-exempt organization under IRS regulations. In 1996, Peter C. Doherty, Ph.D., of St. Jude Children's Research Hospital, was corecipient of the Nobel Prize in Physiology or Medicine for work related to how the immune system kills virus-infected cells. and up north of our border, the folks know how to listen to their music! 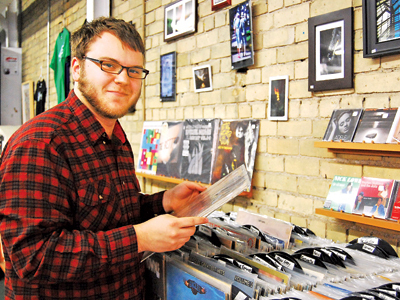 Justin Chasty, creator of Vinyl Night, is trying to get people to share their love of records. When was the last time you sat down with friends to listen to a record? Justin Chasty, creator of Vinyl Night, wants you to do just that Thursdays at Nite Owl. “A lot of people these days are really reliant on the fact that they can sit at home on their computer using different social media to share music. A big challenge right now is getting people away from that kind of stuff — the digital world, and getting them to come out and share music in person,” Chasty says. Vinyl enthusiasts are invited to bring a record to the weekly event and play a song or a side of the album for the crowd. The result is a pick your own playlist type of evening, punk, hip hop or classic rock getting people talking, sharing or dancing along to their favourite songs. NEW YORK, Nov. 18, 2011 /PRNewswire/ -- Legacy Recordings proudly announces the release of Now, Then & Forever, the ultimate single-disc celebration of Earth, Wind & Fire, the iconic American soul-funk-fusion powerhouse which Rolling Stone said "changed the sound of black pop." EWF has been getting parties started across the planet since the group's Chicago inception in 1969 and 2012 promises to be another banner year for the band, beginning with the release of Now, Then & Forever on Tuesday, January 31. More than simply a new career-spanning best-of compilation, Now, Then & Forever centers around favorite tracks hand-picked by A-list celebrity friends and fans of the band including world-class musicians whose work has been influenced or inspired by EWF's groundbreaking catalog. Celebrity curators who've picked their favorite EWF songs for the Now, Then & Forever collection include Andre 3000, Lenny Kravitz, Pharrell, Raphael Saadiq, will.i.am and David Foster, among others. Now, Then & Forever will premiere "Guiding Light," an avidly awaited brand-new EWF song, as well as a new remix by will.i.am. "Guiding Light" provides a hint of things to come from Earth, Wind & Fire, who're preparing a full-on new studio album for summer 2012. Inducted into both the Rock and Roll Hall of Fame and the Vocal Group Hall of Fame, Earth, Wind & Fire has earned six Grammy Awards and four American Music Awards alongside numerous other accolades, not least of which is--with more than 90 million albums sold worldwide--EWF's standing as America's seventh top-selling musical group of all-time. Earth, Wind & Fire will be presented with the prestigious Legend Award at the 2011 Soul Train awards, airing November 27. The reunited original lineup of the legendary heavy metal band BLACK SABBATH will headline a number of Europe's premier festivals in 2012. They veteran metallers are also confirmed to headline the final day of the U.K.'s Download Festival 2012. Foo Fighters w/ Joan Jett - "Bad Reputation"
never get tired of these videos, hail vinyl! In 1956, Fats Domino appeared on the Ed Sullivan show and performed his hit "Blueberry Hill." In 1957, Ricky Nelson records "Stood Up", which will reach #2 early the following year. In 1963, the Beatles first appeared on US television in a feature story on NBC-TV's "The Huntley-Brinkley Report" that included a film clip of the band performing in England. Also in 1963, Beatles manager Brian Epstein asked the group's fans to please refrain from pelting them with jellybeans at their concerts. The Beatles had made the mistake of saying how much they liked "jellybabies." In 1964, the Supremes appear on TV's Rock 'n' Roll show, Shindig! and perform "Baby Love" and "Come See About Me." The Righteous Brothers are also on the bill, and sing "Little Latin Lupe Lu". In 1968, Glen Campbell, a former session musician who appeared on recordings by Frank Sinatra, Nat "King" Cole and the Beach Boys, receives two Gold records - the first for "By The Time I Get To Phoenix" and another for "Gentle On My Mind". In 1968, the Spiral Staircase recorded their million selling tune, "More Today Than Yesterday", which will reach #12 on the Billboard chart and #7 on the Cash Box Best Sellers list the following Spring. Unfortunately, about 18 months following the single's release, after issuing one album and a couple of more singles, the group disbanded due to management issues and squabbles over finances. Also in 1968, an L.A. based quartet made up of Randy Meisner, Jim Messina, Richie Furay and Rusty Young who called themselves Pogo, debuted at The Troubadour. After building up an local following, they would be forced to change their moniker, which they had openly pilfered from Walt Kelly's comic strip of the same name, when Kelly filed suit. They settled on Poco because it sounded like the original name that fans had come to know. In 1969, in Nashville, Conway Twitty recorded "Hello Darlin.'" It spent four weeks atop the Billboard Hot Country Singles chart and was named the #1 country song of 1970. In 1971, Blues singer (Annie Get Your Yo-Yo) Herman "Junior" Parker died during surgery for a brain tumor at the age of 39. In 1972, Bill Withers appears on Soul Train, singing his hit "Lean On Me" and its follow-up, "Use Me Up". In 1972, Danny Whitten, of Neil Young's backup band Crazy Horse, died of an alleged heroin overdose at the age of 29. The tragedy inspired Young to write "The Needle and the Damage Done". Whitten is often remembered for writing "I Don't Want To Talk About It", a hit for Rita Coolidge and Rod Stewart. In 1972, Cat Stevens started a three week run at the top of the US album chart with his most successful LP, 'Catch Bull At Four.' Stevens played 14 different instruments during the recording of the ten tracks that make up the LP. In 1975, at London's Hammersmith Odeon, Bruce Springsteen gave his first UK concert, a subpar show by all accounts due, in part, to his disgust at the hype surrounding his newfound celebrity. When he saw show posters in the lobby declaring "Finally the world is ready for Bruce Springsteen," he ripped them down. In 1976, Richard Hell & the Voidoids played live for the first time at CBGB's in New York. In 1978, Billy Joel topped the Billboard Hot 200 album chart with "52nd Street", his first US #1 LP. 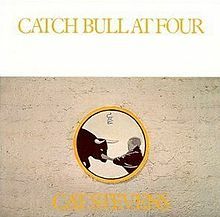 In 1982, it would become the first commercial album to be released on compact disc (by Sony Music Entertainment). In 1979, Chuck Berry was released from Lompoc Prison Farm in California after serving four months for tax evasion. While he was away, his last studio album of new material, "Rock It", was issued by Atco Records. 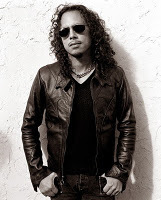 To date, the LP remains his most recent studio album, although he has released some live recordings since. In 1985, with Grace Slick and Mickey Thomas sharing lead vocals, Starship enjoy their first number one record with "We Built This City", an honor that previous incarnations of the band, Jefferson Airplane and Jefferson Starship could not accomplish. Despite the song's success, it has often been the target of music critics, including Blender Magazine, who named it their "worst song ever" in April, 2004. Their readers disagreed with the editors however, choosing "Achy Breaky Heart" by Billy Ray Cyrus as their least favorite by a wide margin. In 1987, U2 opened for themselves at a concert in Los Angeles by pretending to be a country-rock group called the Dalton Brothers. The short-lived fictional, spoof band performed on three dates (November 1, 1987 in Indianapolis, November 18, 1987 in Los Angeles and December 12, 1987 in Hampton, Virginia) of their Joshua Tree tour. On those occasions, the band members appeared on stage wearing wigs, cowboy hats and country-style boots, introducing themselves with "Dalton" pseudonyms. Bono introduced the band by saying, "We play two kinds of music: country and western." Also in 1990, The Righteous Brothers saw their popularity surge when the movie, Ghost, (starring Patrick Swayze and Demi Moore) featured their 1965 hit, "Unchained Melody." Their original version and a re-recorded cut both made it into the US top 20, while three Greatest Hits albums made the Billboard chart. 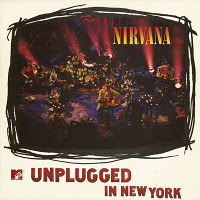 At Sony Studios in New York City in 1993, Nirvana taped their MTV "Unplugged" special. In 1994, Cab Calloway died at the age of 86. In 1994, David Crosby undergoes a successful liver transplant. During his stay at UCLA Medical Center, David received two pieces of wonderful news: He found out that his wife Jan was pregnant and he got a letter from the adoptive father of the son that David had given up for adoption in the early 1960's. In 1995, the Rolling Stones become the first act to broadcast a concert on the Internet. Also in 1995, "Goldeneye" the James Bond movie, opened, featuring a title song by Tina Turner. The Metallica single "Mama Said" was released in 1996. In 1997, John Denver's last recording, "The Unplugged Collection," was released in the US. 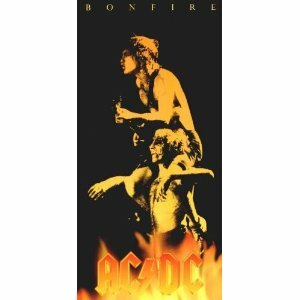 In 1997, the AC/DC five-CD boxed set, 'Bonfire' was released in the US. The definitive box-set highlights the rock and roll genius that was Bon Scott. Featuring Live From The Atlantic Studios (8 tracks), Let There Be Rock-The Movie Live In Paris (12 tracks), 'Volts' (12 tracks) & Back In Black (10 tracks). Includes 45 page color booklet with photos, lyrics and story of the band, plus a 1'x 2' poster. In 1997, Celine Dion released the album "Let's Talk About Love," which includes the song "My Heart Will Go On" from the movie "Titanic." In her native Canada it set a record for first-week sales: 230,000 copies, meaning one out of every 100 Canadians bought the album in the first seven days of its release. In 1999, Doug Sahm, leader of the Sir Douglas Quintet died of natural causes while vacationing at the at the Kachina Inn in Taos, New Mexico. He was just days shy of his 58th birthday. In 2001, ABC aired Britney Spears' first TV concert, "Britney Spears: Live from Las Vegas." In 2003, at Christie's auction house in New York, the original John Lennon handwritten lyrics to the Beatles' "Nowhere Man" sold for $300,000. Also in 2003, sixty to seventy personnel from the Santa Barbara County sheriff's and district attorney's offices served a warrant at Michael Jackson's Neverland Ranch following allegations of sexual abuse of a 12-year old boy. At the time of the raid, Jackson and his family were in Las Vegas, where Jackson was filming a video. 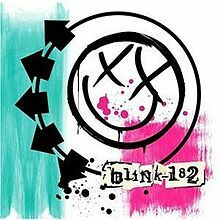 Blink-182's fifth studio album was released in 2003 through Geffen Records. In 2005, the Johnny Cash-June Carter biopic "Walk the Line," starring Jaoquin Phoenix, Reese Witherspoon, and Ginnifer Goodwin, opened in U.S. and Canadian movie theaters. In 2006, the British press panned Michael Jackson's so called "comeback concert" in London, calling his first public performance since his child molestation trial last year "shambolic." Jackson appeared to struggle to reach the high notes when he sang the chorus of "We Are The World" with a choir of children.